With the final episode of Breaking Bad set to air at the end of September, addicts of the crystal-meth drama are beginning to worry about what will fill the gap in their lives. Happily, saying farewell to Walter White won't mean a complete loss of the Albuquerque characters. 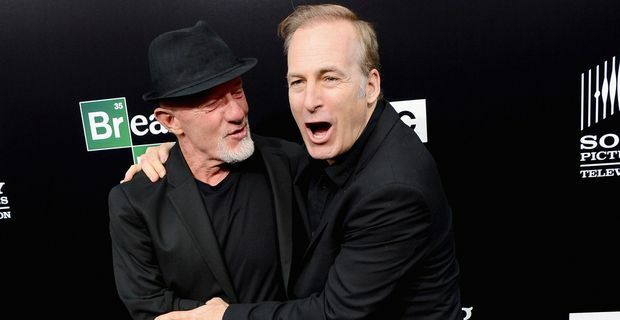 Creator Vince Gilligan has announced that they have the go-ahead for a spin-off series centred on venal lawyer Saul Goodman, played by Bob Odenkirk. Saul, who makes his own cheesy TV ads and has no qualms about anything illegal, has provided some much-needed comic interludes in Breaking Bad, and became one of the show's most popular characters. The show, provisionally titled Better Call Saul, will be a prequel of sorts, following Goodman's rise to notoriety. "I like the idea of a lawyer show in which the main lawyer will do anything it takes to stay out of a court of law," Gilligan said recently. "He’ll settle on the courthouse steps, whatever it takes to stay out of the courtroom. That would be fun - I would like that." Odenkirk is keen on a show that would reveal more about the character beyond the superficial cynicism. "If all it was is Saul being a sleazeball, there's not much to show there," he told Rolling Stone. "But if he's a person, and he has some depth to him, and his reactions are not cookie-cutter or obvious depending on the situation he's in, then he's worth watching." Gilligan's Breaking Bad was laced with a dark, occasionally surreal humour. Understandably, after five intense series of a show acclaimed as the finest drama TV series ever, he is ready for something a little lighter. Not that it will be a sitcom. Initial plans are for an hour-long show. Whether the iconic setting of New Mexico will have the same importance in Better Call Saul remains to be seen.